Advance Exchange Program at Hytec Dealer Services, Inc.
Hytec’s Advance Exchange service type provides you with a quick, cost effective, no-hassle solution to service your customers’ equipment by the next business day. 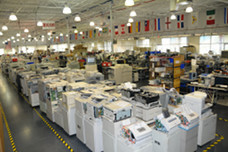 The Advance Exchange Program is our most popular service program, and is your fastest service alternative, providing you the ability to receive a repaired circuit board from Hytec the next business day. Repaired boards can be shipped to your location, or directly to your service technician in the field. The core return process is simple. 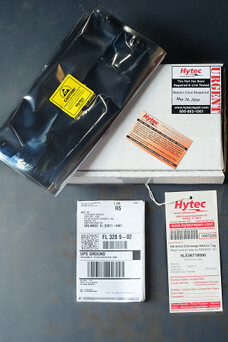 When you receive the repaired board you ordered, it will come with a reusable box that precisely fits that board, a prepaid RS shipping label, a repair tag, and complete instructions.